Hello everyone, this is my review on the Avenger. 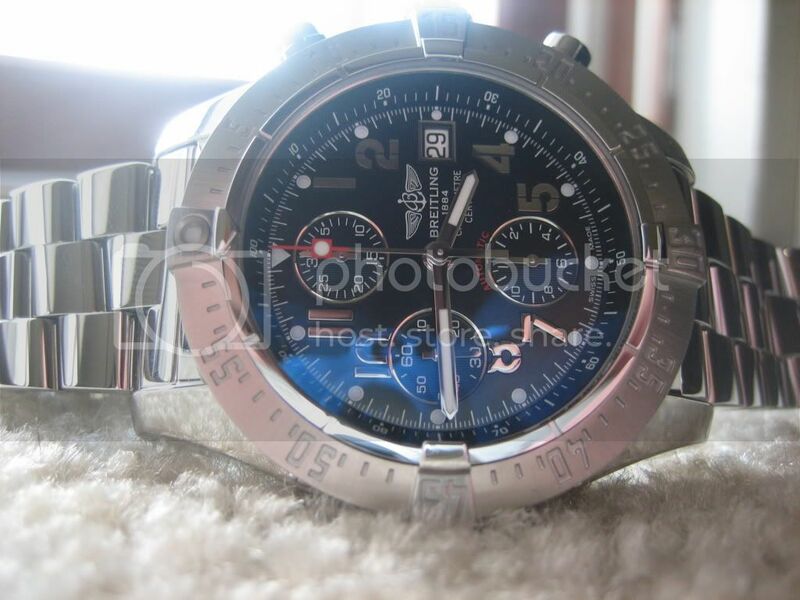 I recently ordered this watch and it arrived at my AD on 01/28/11. I had never seen an Avenger in the flesh before it was in my hands last Friday so it was interesting to see it on my wrist versus on the internet. Starting off I will say I chose the Avenger over the Super Avenger (SA) primarily due to my wrist size. My wrists are about 6.5” and I took everyone’s advice here at BreitlingSource and decided the SA would be way too big. I already have a SuperOcean which is at 42mm and it is not too big or too small. I knew the Avenger is 3.4 mm larger than the SO but it is kind of hard to imagine how much bigger it will actually look sitting on the wrist. I was all in favor for a bigger piece than the SO and there was a slight worry in me that it would not be as big as I wanted. I was wrong. When my AD handed the Avenger over to me with all the links in the bracelet, nothing could have prepared for the weight of this thing! The first words I uttered were, “Wow it’s heavy.” The Avenger looked beautiful in all its polished stainless steel glory. It is definitely an eye catcher but not over the top (I would imagine the SA would be). Another thing that surprised me was the thickness of the case, which I assume is due to the chronograph function of the movement. 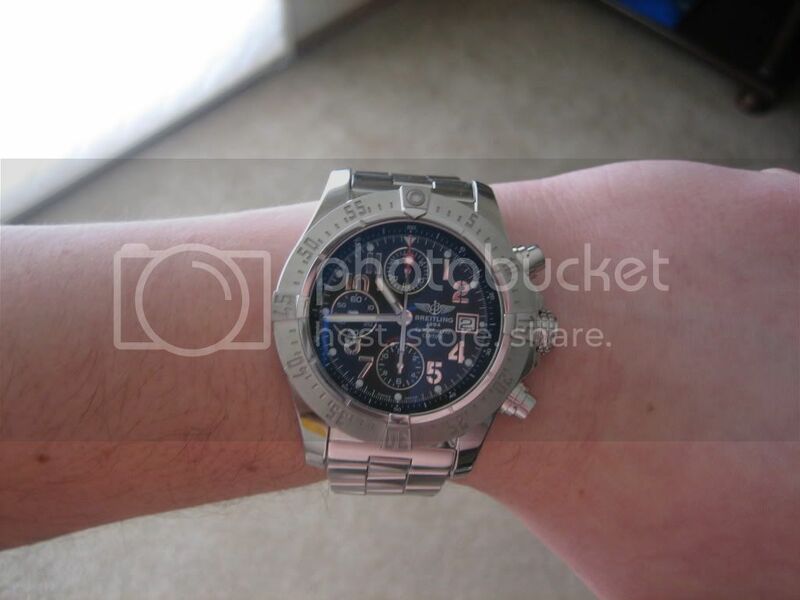 One reason I believe this watch such great wrist presence is due to its thickness. The case protrudes off of the wrist, and I have learned that doing simple tasks like putting dishes in the dishwasher and laundry can put it at risk of dings and scratches. I know getting scratches on this watch is inevitable, but it’s not even a week old at this point and I would like to keep it looking pristine for a little longer. The bracelet is very comfortable for me and classic looking. The links are not too long, thus it allows for a good wrap around the wrist. 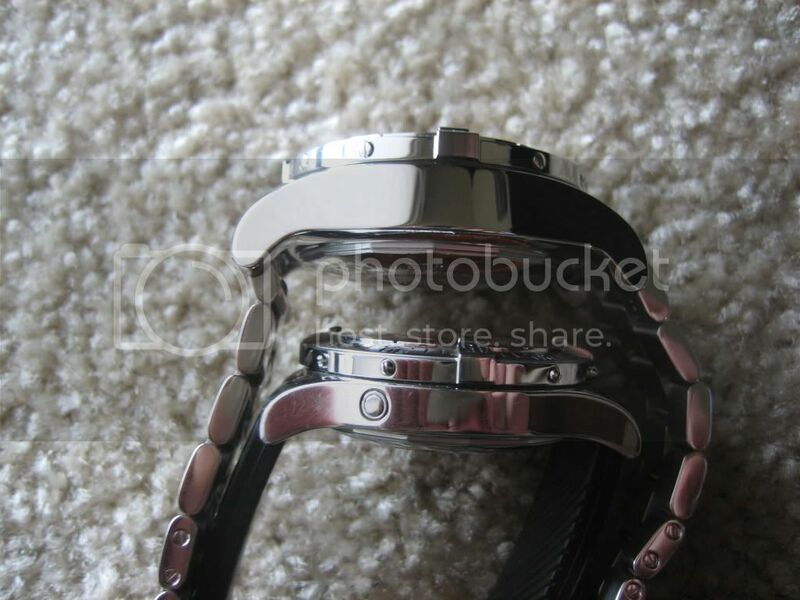 The buckle or clasp is very sturdy and simple looking. I am a fan of busy dials (next purchase might be a Navi World). I absolutely love the look of this dial and the polished steel accents. The Avenger was recently updated and has polished numbers versus white numbers that were on the Avenger Skyland. From what I see in pictures on the internet, the numbers on the AS were highly visible, so I was interested to know if the Avenger would be difficult to tell time in dimly lit places due to its reliance on the polished numbers. I must say this is not a problem at all. For whatever reason the dial seems to pick up any light available and it is very easy to read in dim situations. I also love the texture on the sub dials. When the light catches the subs just right it looks as if there are little white lines in them. It almost gives the watch a different feel. I thing I was surprisingly disappointed in is the lack of sensitivity of the lume on this watch. My SO will glow green when little light is applied to it; with the Avenger the only way to activate the lume is to stick next to a light bulb for 30 seconds. Maybe the SO has such great lume because it’s a dive watch? Either way it doesn’t bother me at all, I have hardly ever been in a situation where I needed to rely on my watch lume for the time. One thing I will say about the movement is that it is loud compared to my SO. I'm not talking about the ticking seconds hand, but the winding mechanism is audible. I find this to be cool because, to me, it reminds me that this little machine on my wrist is working away! Overall, this watch is a beauty. I cannot stop looking at it and I am not disappointed about the purchase. In fact, I think pictures on the internet do not do it justice at all, to appreciate this piece you need to see it in person. 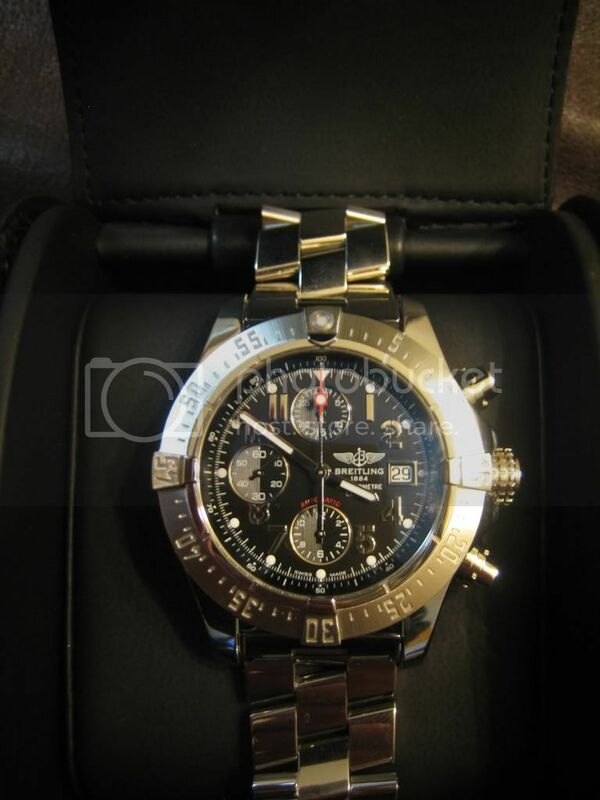 You can tell all materials used on this watch are top notch and it is extremely well made. It behooves all of you to give the Avenger a look for your next purchase. Many Congratulations on this stunning Avenger. Thanks for the great review with the very impressive pictures. Although, as you rightly say, pictures can never do this watch justice. Thanks for sharing your review. The heavily modified 7750 winds uni-directionally and the rotoer does whirl loud. How do you find the polished SS? Finger print magnet? 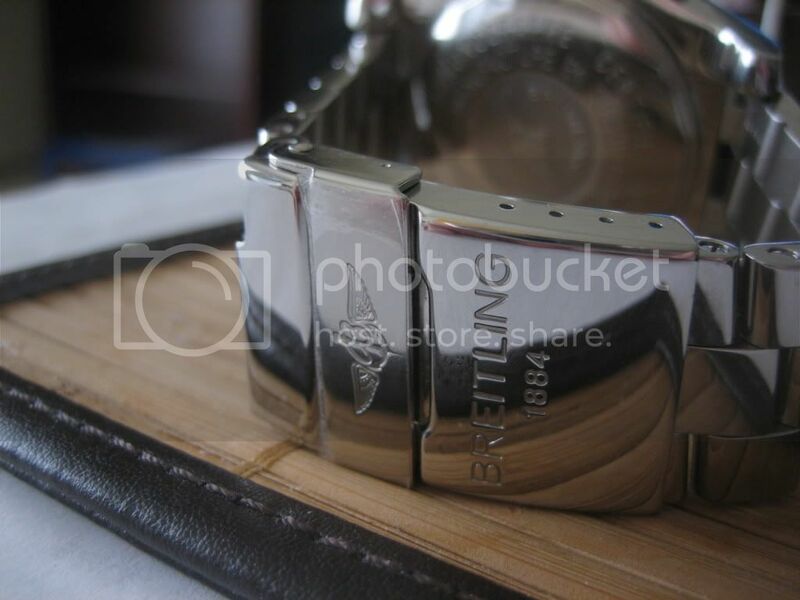 I haven't looked at Breitling's offering for a while, but do they offer the Skyland in Titanium at all? Not sure how I missed this, but congrats and nice review. No doubt the 7750 movement does whirl when the rotor freewheels opposite the direction it winds. I appreciate that movement as a workhorse that has long since had the bugs and gremlins worked out. Congrats again, it's a keeper for sure. Thanks sharkman. I appreciate the kind words. Yeah the SS attracts finger prints but unless you are looking at the bracelet/case for prints you obviously aren't going to notice them. It shines nicely in the sun too! 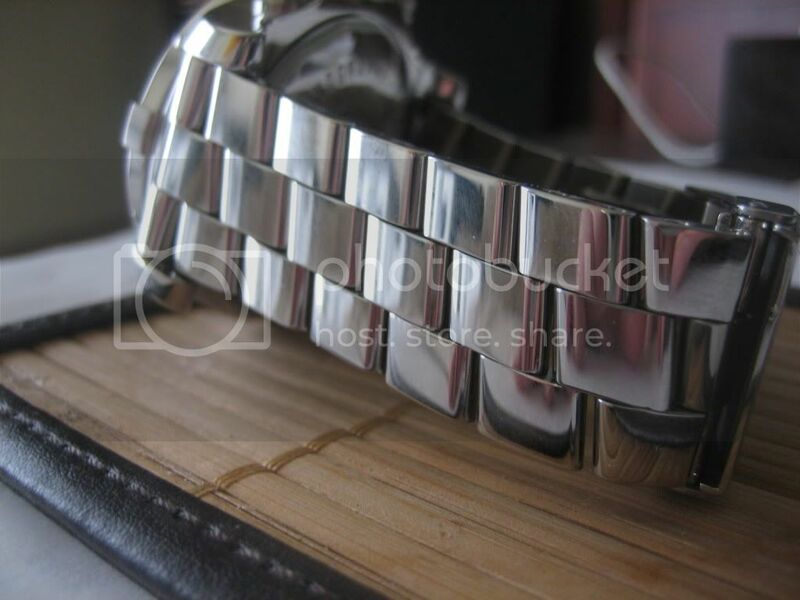 Just breathing on the watch and polishing it with your shirt does a nice job cleaning it up. Definitely an eye catcher. The weather is starting to get warmer and I get to wear the watch with short sleeves now! Although, as you rightly say, pictures can never do this watch justice. Thank God it's not one of the victims of the discontinued models. Great review. I have had my Avenger for about a year now and I still love it. It does have quite a bit of scratches on the bracelet however and I think I will bring it in to the AD I purchased it at for a polish. Does anyone know how much that costs and if it comes back looking like new? Not sure on price but Comes back lookin great. Just make sure they are careful not to polish too much and mess with any of the detail or edging. I have the Avenger with the gray face and love it. I bought it 2nd after my Navi World, which I wanted since I started looking at Breitlings and now find my self wearing the avenger almost every day. Very nice review...I am thinking of picking one up myself. Thanks. I own a Superocen Steelfish and I just ordered the new Avenger, too. 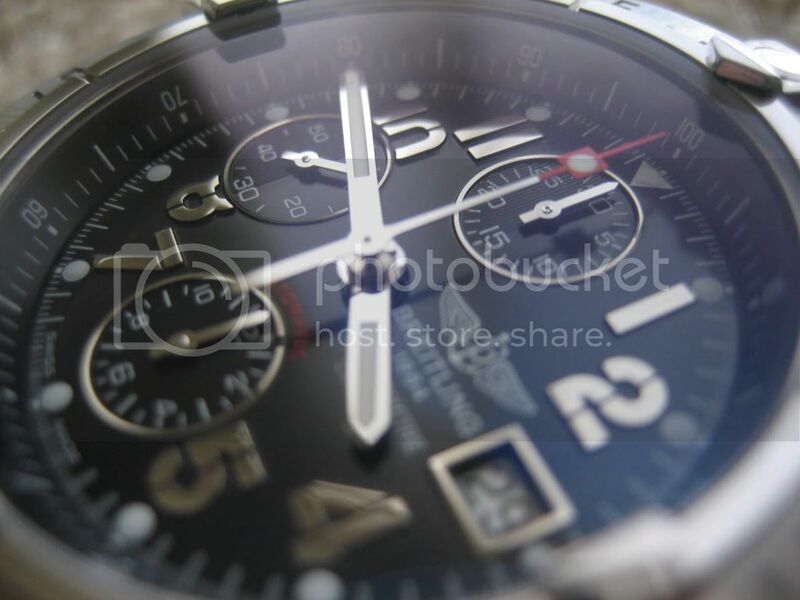 I am mdly in love with that watch, but I just red that the movement is AUDIBLE. Hopefully someone can nswer this qustion for me... I always thought that "the more sound...the worse the qulity of the movement"
Somebody must have told me that and... my father has a 10 yo speedmaster that makes a lot more noise than my SO (you cnnot hear anything with the steelfish relly so...) I just figured that modern movements like the one on the Steelfish were "better". Can somebody tell me whether this is true... Is the movement in the Avenger as good as the one in the SO steelfish? The 7750 based caliber 13 is a noisy movement, it's got nothing to do with quality. Both watches have highest grade modified ETA movement. Verry nice watch! I own a Steelfish and I am thinking about buying a Skyland. Love it.